Little athletes are going bananas thanks to sponsorship! The weather has been hot and so have the athlete’s performances! Training has been in preparation for the Suncoast Regional Championships on February 10-11 at the Girraween Sports Complex in Sunshine Beach. 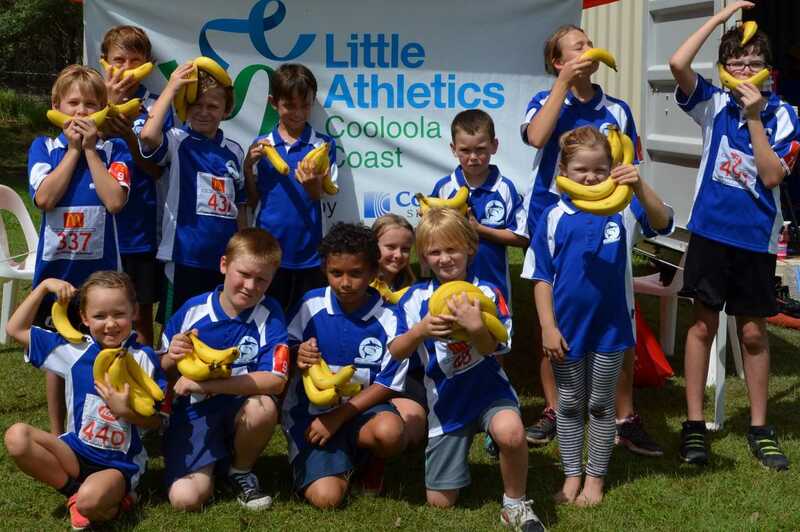 The talent pool Cooloola Coast Little Athletics has this year is fantastic, and the team going down to represent the Cooloola Coast Centre are keen to use their honed skills to gain a place in the State Championships. No matter the results, those participating are already winners, as competing at these events is an experience in itself. With only a few months left of this season the athletes are aiming to smash their personal bests set last year. The new training equipment has been well utilised, with speed and stamina on the speed sled. The frisbee catcher has been a hit and has improved the aim and direction of throws. Thankfully the Coles bananas have been a regular staple of after-training nutrition lately. The 2018-19 season will begin in August this year; so if you would like further information regarding sign-on forwarded to you when it becomes available, then email your details to ccla2014@outlook.com or call Jess Milne on 0411 218 254.